ok... W H A T?! Please read the first book before reading this one. A teenage girl by the name of Avril Duval has just moved to Paris, France from her hometown of Quebec, Canada due to some problems that went down back home. She now lives in a huge mansion with her mom while her dad is back in Quebec with her brother Jayden. Avril's mom is a well known fashion designer and ever since she found out that Avril could sing, she has started making Avril perform on stage in front of crowds. The thing was, Avril was the shyest person EVER but every time she tried to explain it to her mom, she wouldn't listen. Avril is very well known around the world because of her mom, and the fact that she performs on stage every weekend, regardless on whether she wants to or not. For the first time since she was little, Avril is also being forced by her mom to go to a normal school. How bad could that get? (Y/n) and her mom just moved to Paris, France. In all honesty, she'd rather go live on the moon rather than here. She was the only miraculous user from her old home, and now she's going to meet the two most famous ones in the world. She doesn't feel up to it. Disclaimer- I do not own The Miraculous Ladybug or any of the characters. Y/n and Adrien are really close friends. Y/n is a superhero who is in love with one of her partners Chat Noir. What will happen when Adrien finds out he is in love with Y/n? Y/N has finally moved to Paris! Her dream come true! But, not all is a dream with learning how to be a hero,having a new villain, fighting crime,school,and fitting in. Her life turns upside down but, will a certain blonde superhero save the day? You are a princess of a kingdom called Alberturn but sadly, being a princess is not all tiaras and ponies! 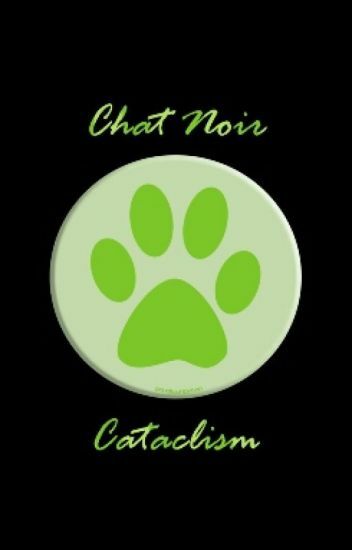 When a assassination is attempted on you.. You and your brother Alex have to go into hiding and try to make it to the safe kingdom until, while your on your way you get kidnapped by the notorious Chat Noir. What will happen? How will you survive? And most of all.... who is trying to hunt you down? Your name is (Y/N)(L/N).You are a famous singer who was born in Paris.You were on tour since you were ten and came back home five years later.You meet your parents and three siblings again.But what other people don't know is that you're a miraculous holder.But you're about to see some changes around you. In which Ladybug- And Marinette -Are in a life or death situation. After she contracts cancer, a new Ladybug is needed. Who better than the new girl, (Y/N) (L/N)?